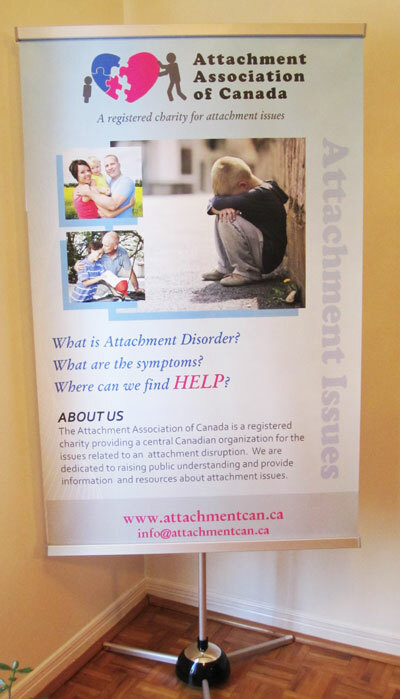 Designing and printing vinyl sign (banner) for Attachment Association of Canada. 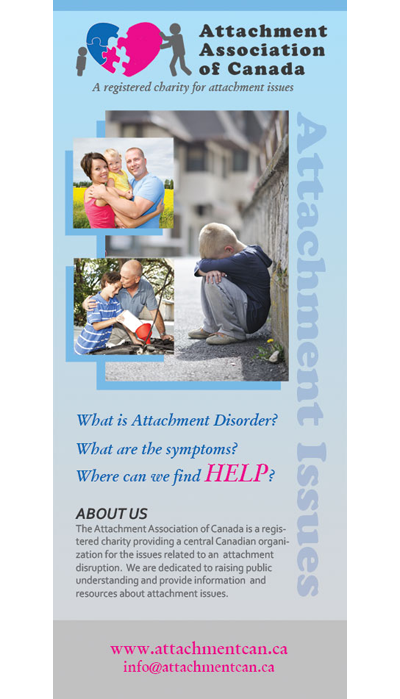 Attachment Association of Canada is a registered charity providing a central Canadian organization for the issue of attachment disorder. They are dedicated to raising the public understanding and awareness of attachment issues. They provide information and resources about attachment and trauma. They are working to create support networks for parents in as many communities as possible across the country. They are helping more therapists in Canada become qualified in this area so that they can provide services in their local communities. They are working to provide services and education to families and individuals dealing with the attachment issues. © Copyright 2002-2019 JTrish Design. All Rights Reserved.